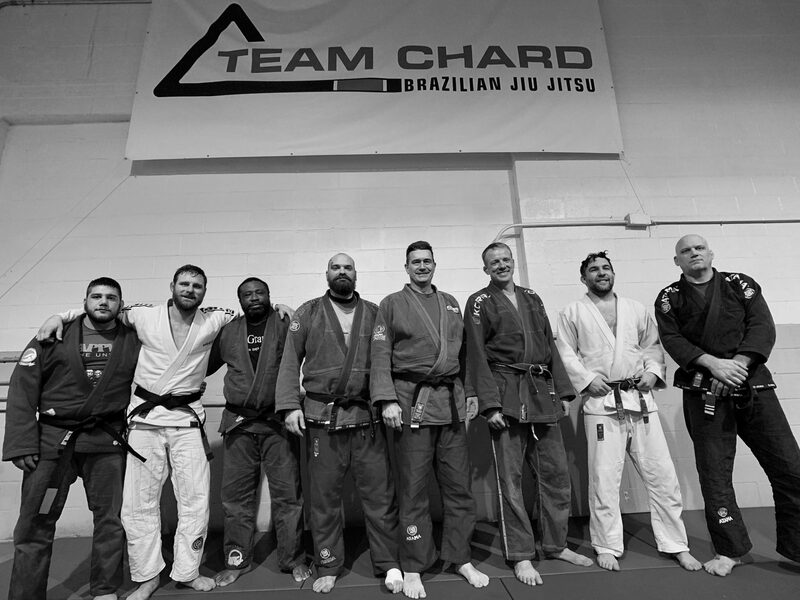 Members of Team Chard are gathering in Irvine California for this years second major IBJJF Tournament, the Pan Jiu Jitsu Championships. Chris Leggett and Anthony Santo Domingo start the weekend off Thursday 3/24 at 4pm PST in the Pluma (141lb) Adult White Belt Division. Friday 3/25, Jon Bobel will be going in the Meio-Pesado (194lb) Adult Purple Belt Division at 3:30pm PST and Saturday 3/26, Tim Lehman goes in the Super-Pesado (220lb) Masters Purple Belt and Absolute Masters Purple Belt divisions at 11:30 am PST. Stay tuned for updates, results, photos and more. Brazilian Jiu Jitsu is the only martial art worth doing. We know this. We are dedicated to you knowing it too. At its core, Brazilian Jiu Jitsu is a physical discipline, a competitive sport, and a fighting system. But as practitioners, we understand that Brazilian Jiu Jitsu transcends the physical and embeds its philosophy, its feelings, and its intentions in our lives. We don’t so much practice Brazilian Jiu Jitsu, we live it. This is what we do. Come join the life.